And everyone agrees that there's a huge difference between a typed letter on a bland white page and one aligned smartly on a beautifully designed letterhead. While many view letterhead as an afterthought, it's time to raise the standard! While it's important that your letterhead looks and feels great in the hand, it should still play second fiddle to the communication itself. If designs are too bold, you run the risk of competing with the page content to demand reader attention. When in doubt, simple is best. White space is not "wasted" space, instead, it balances elements, organizes content, and creates spatial proximity so your readers can digest information quickly and simply. Use generous amounts of white space between a large heading and a block of subtext. Or experiment all text flush left or flush right to create more white space between margins. Letterheads remain an integral part of a brand's marketing mix. 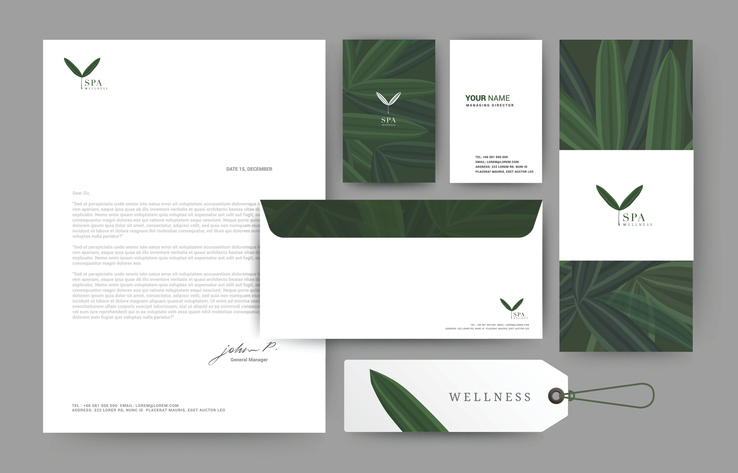 Inject new energy into your designs with thoughtful layouts, creative contrasts, or complementary envelopes that keep your messages stand out in a crowd! If you need help with a redesign of your letterhead - give us a call at Print It! 864-882-3609.